A new study has found that a significant percentage of doctors prescribe opioids without a pain-related diagnosis. 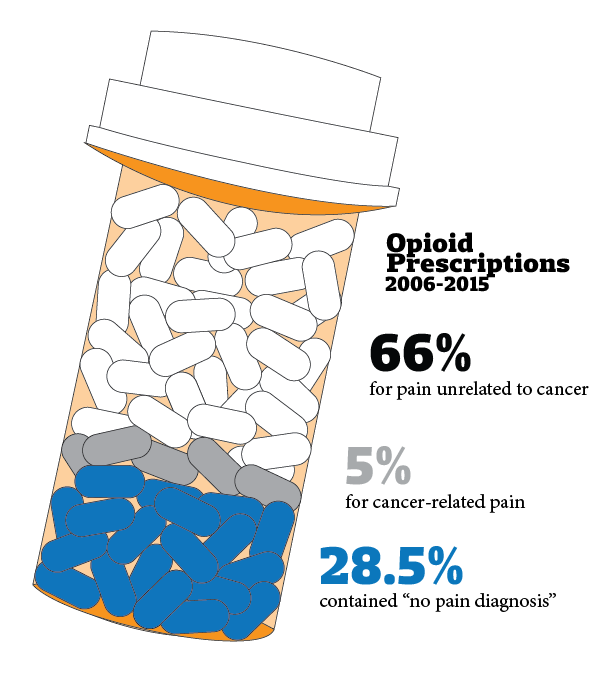 The study, published in the Annals of Internal Medicine, found that — of 31,943 opioid prescriptions issued between 2006 and 2015 and documented in the National Ambulatory Medical Care Survey — 28.5 percent contained “no pain diagnosis.” Five percent of prescriptions were for cancer-related pain and 66 percent were for pain unrelated to cancer. “Transparently and accurately documenting the justification for opioid therapy is essential to ensure appropriate, safe prescribing; yet, providers currently fall far short of this,” the article states. The study also found that providers were more likely to prescribe opioids without citing a pain diagnosis during visits meant to refill a standing prescription than during visits meant to fill a first-time prescription. 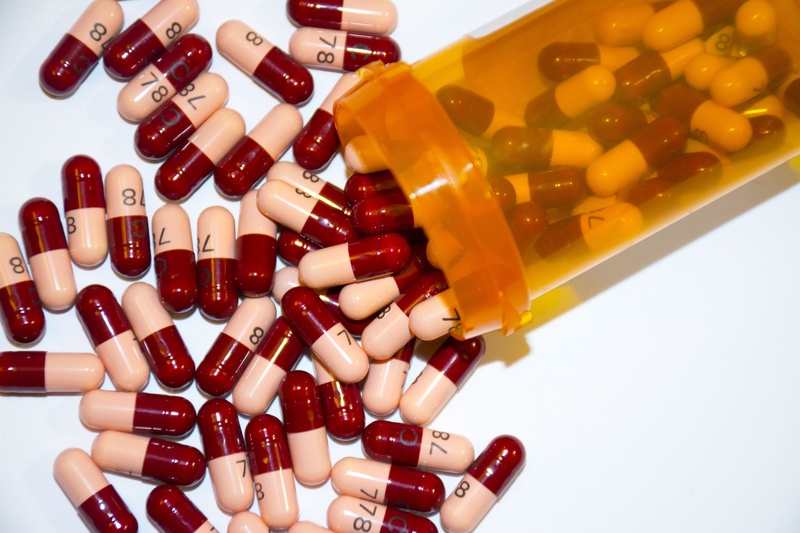 Thirty-one percent of prescription refills lacked a pain diagnoses, while 23 percent of first-time prescriptions did so. “It’s even more troubling that the undocumented rate was higher among the continued, renewal prescriptions,” Nicole Maestas, an associate professor of health care policy at Harvard Medical School and one of the paper’s co-authors, said in an interview. The study’s other two authors were Tisamarie B. Sherry, an instructor in medicine at Harvard Medical School and a physician at Brigham and Women’s Hospital, and Adrienne Sabety, a Ph.D. student in health policy and economics. Of the prescriptions that came with no pain diagnosis, a small percentage were issued for opioid dependence.The rest were issued for conditions that would not typically call for opioid treatment, according to Maestas. Maestas said stricter documentation requirements for opioids, comparable to those that insurance companies already demand for new, expensive treatments, may help reduce the incidence of improperly prescribed opioids. “It looks like we need to apply that same level of scrutiny to opioid prescriptions to make sure they’re being given when it’s justifiable that they be given,” she said. Harvard Medical School and School of Public Health faculty recently ramped up their focus on the opioid epidemic as overdose deaths continue to rise nationally. Across the country, about 115 people die daily from opioid overdoses, according to the National Institute on Drug Abuse. Last week, a group of medical students launched a photojournalism project at Brigham and Women’s Hospital meant to draw attention to the epidemic. The opioid crisis is one of the issues that Harvard and the University of Michigan will examine as part of their newly formed partnership. The two schools plan to hold two policy summits regarding the epidemic.